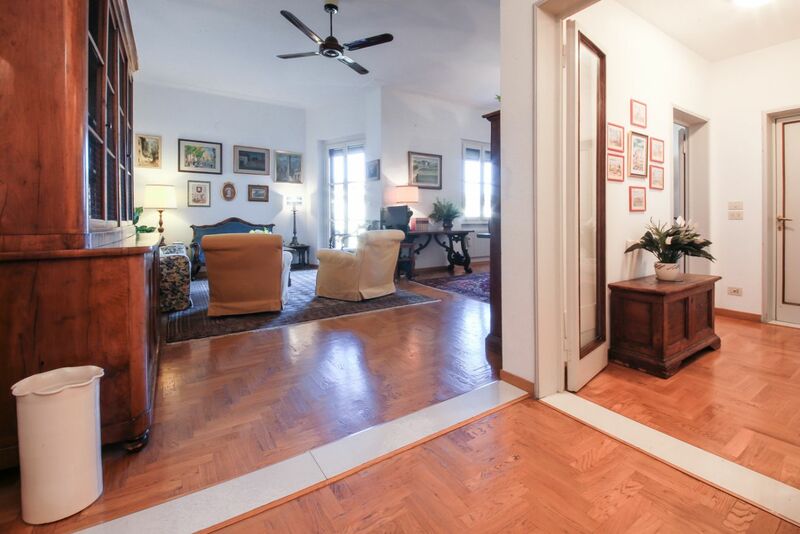 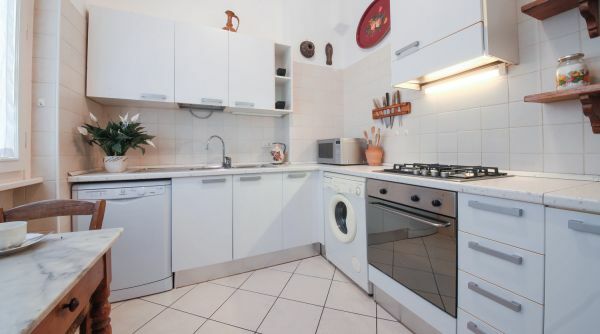 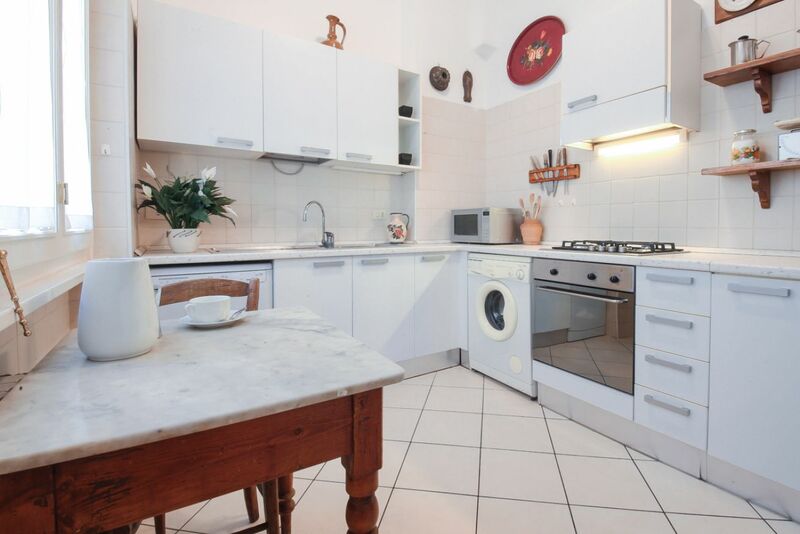 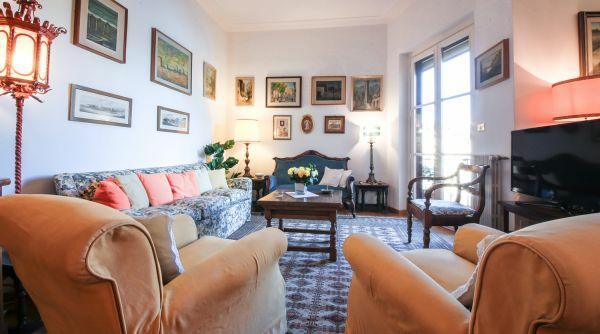 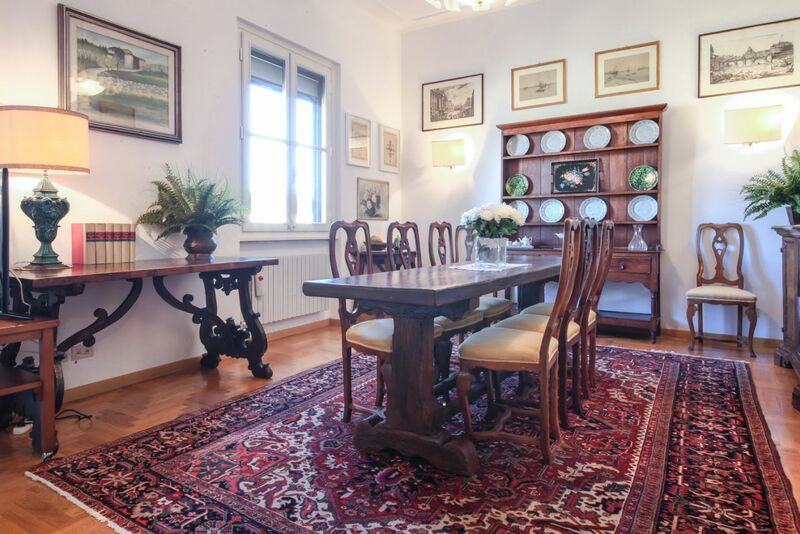 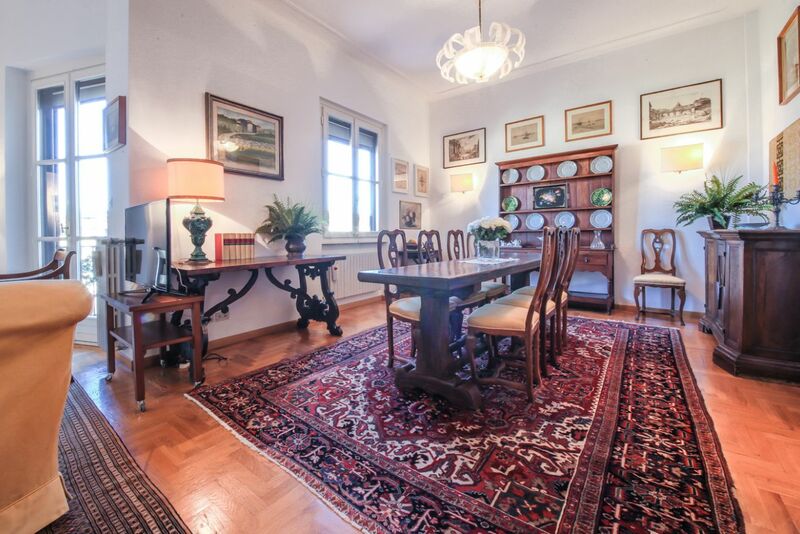 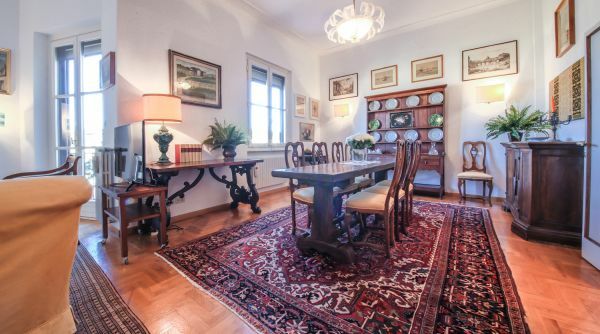 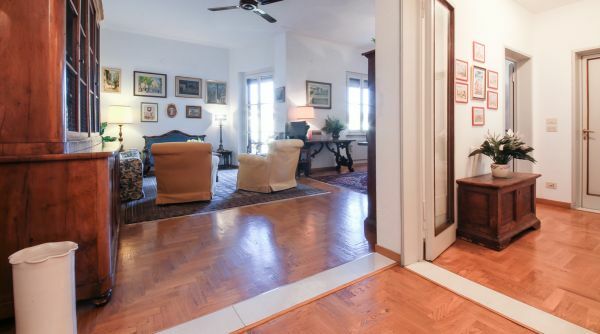 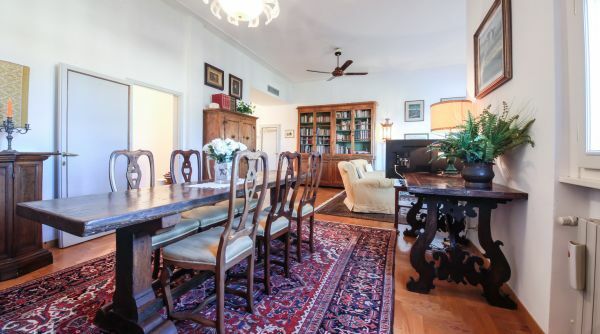 Quintessential Italian home with an absolutely gorgeous view of the Arno River. 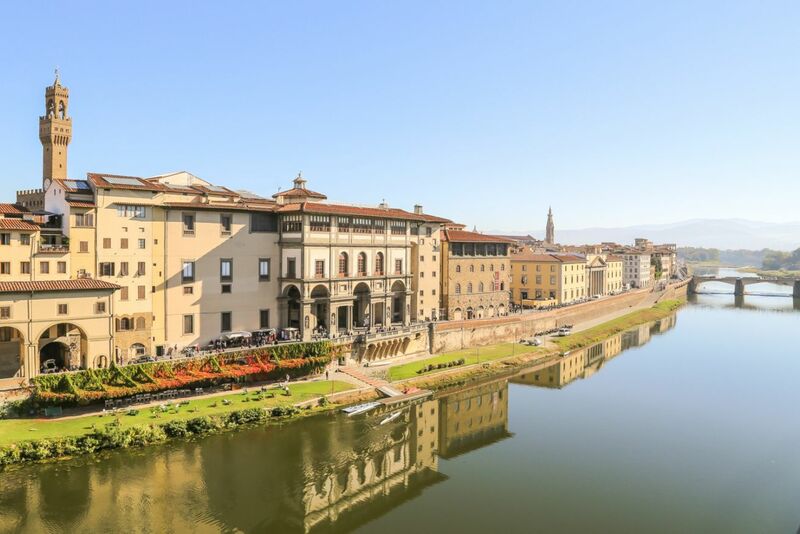 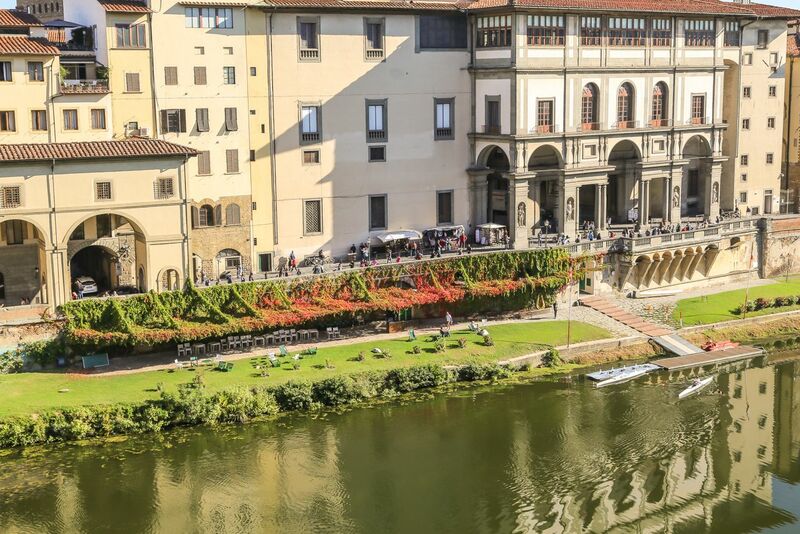 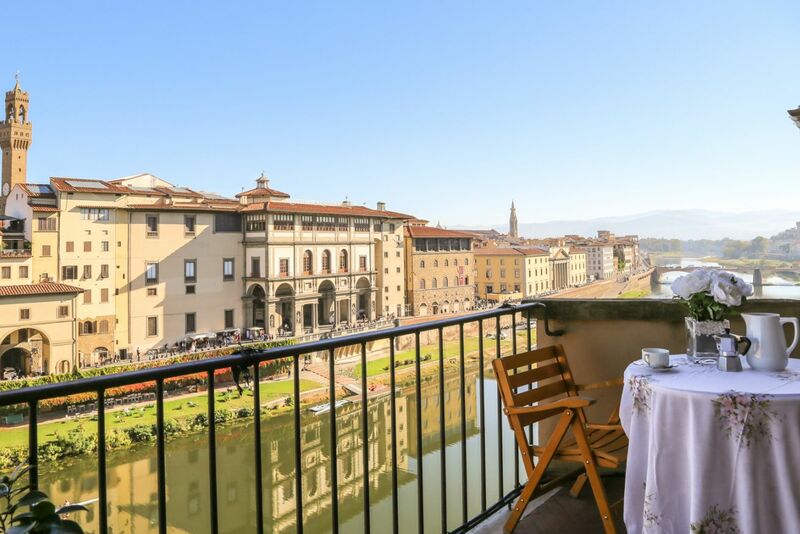 Its proximity to the Ponte Vecchio makes this apartment the perfect place for a traveler who wants to explore the shops, restaurants, and historical landmarks of downtown Florence. 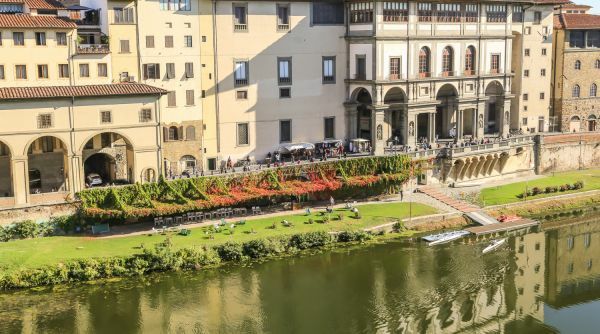 The apartment is located on the fifth floor of a brand new building—with an elevator—right next to the iconic Ponte Vecchio. 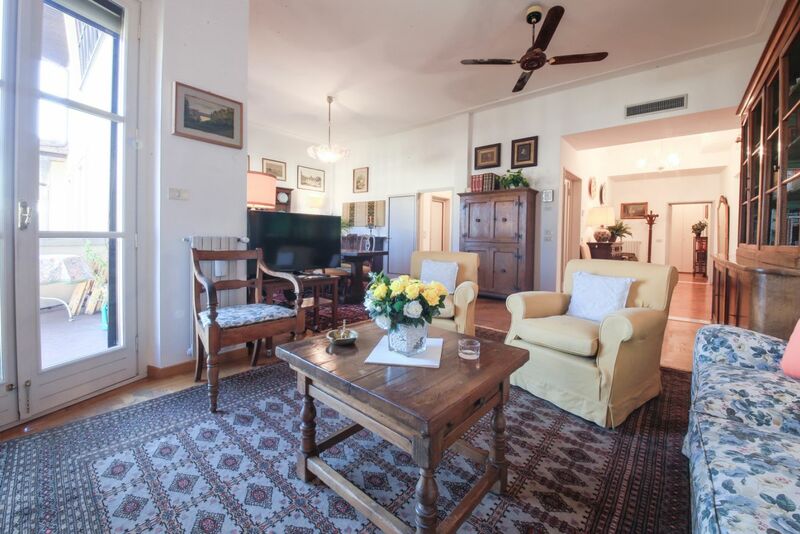 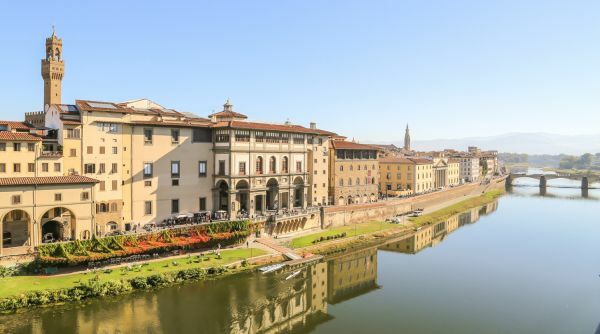 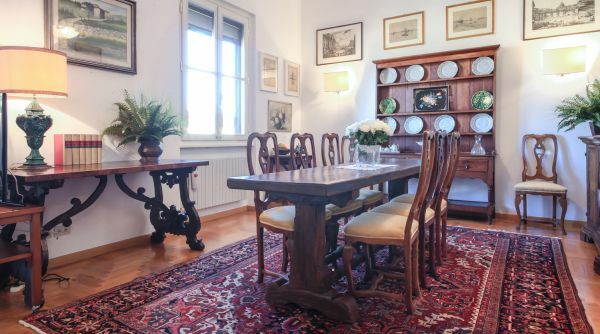 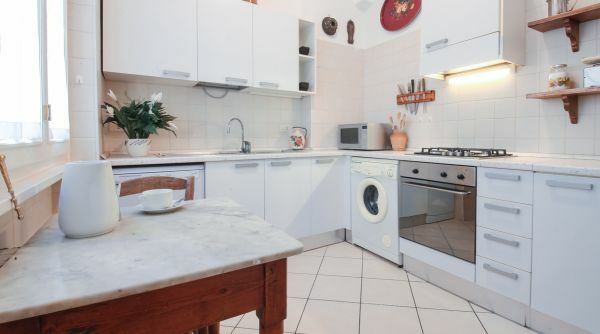 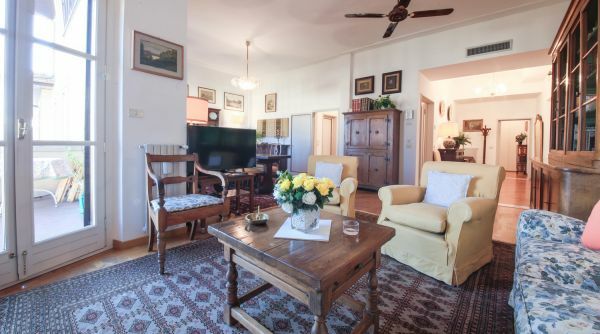 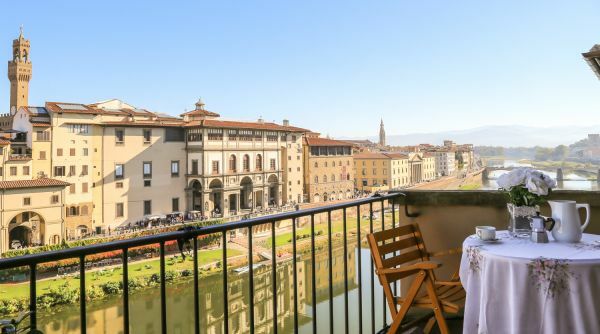 This location is the apartment’s best asset, as it provides its guests with a truly incredible view of the Arno River and the surrounding city. 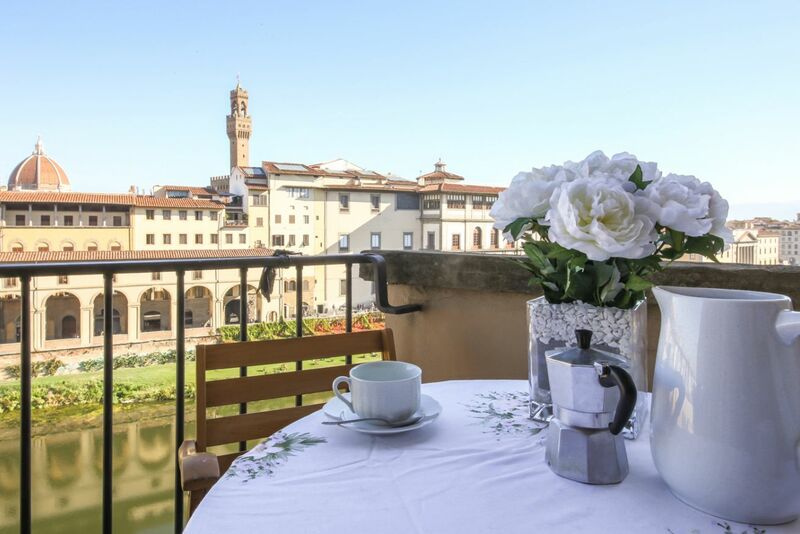 Its charming terrace, which is equipped with an outdoor seating area, overlooks many of Florence’s greatest treasures. 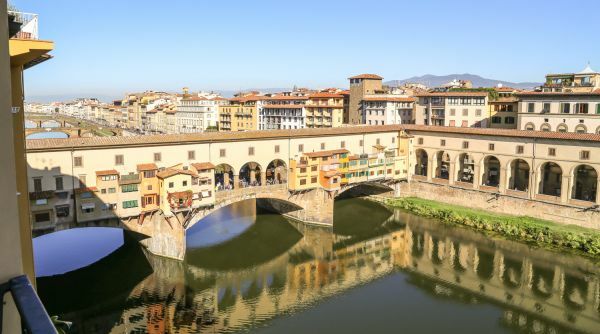 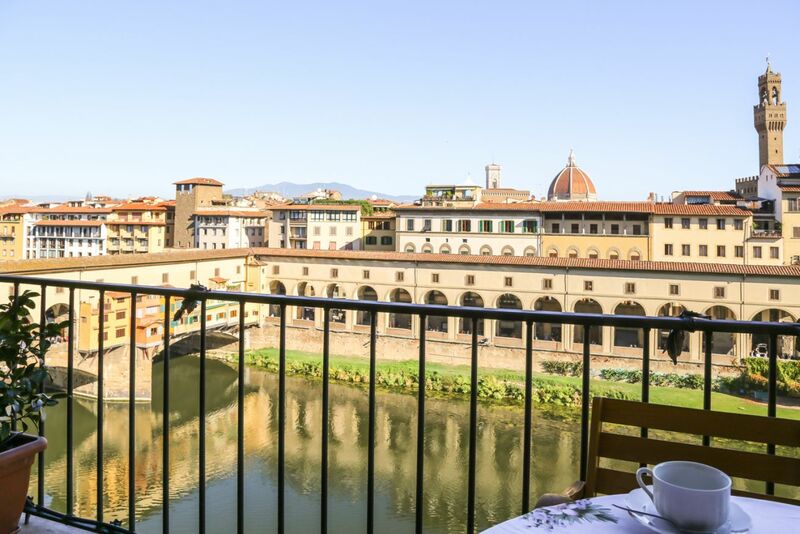 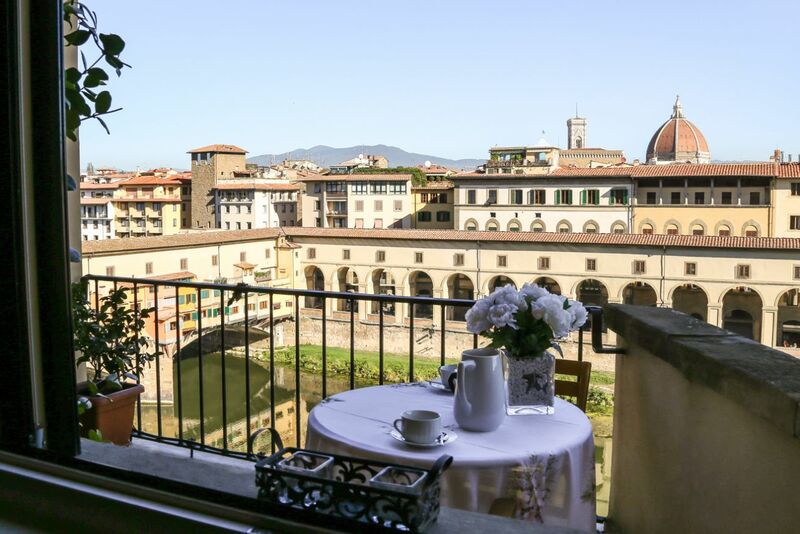 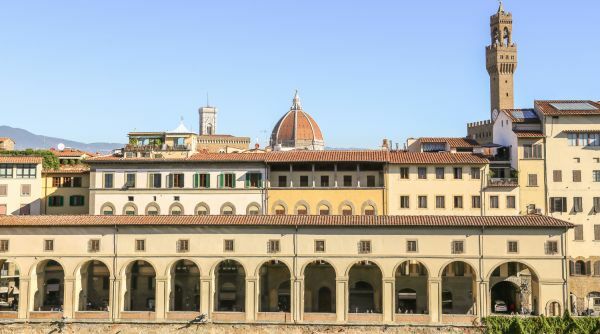 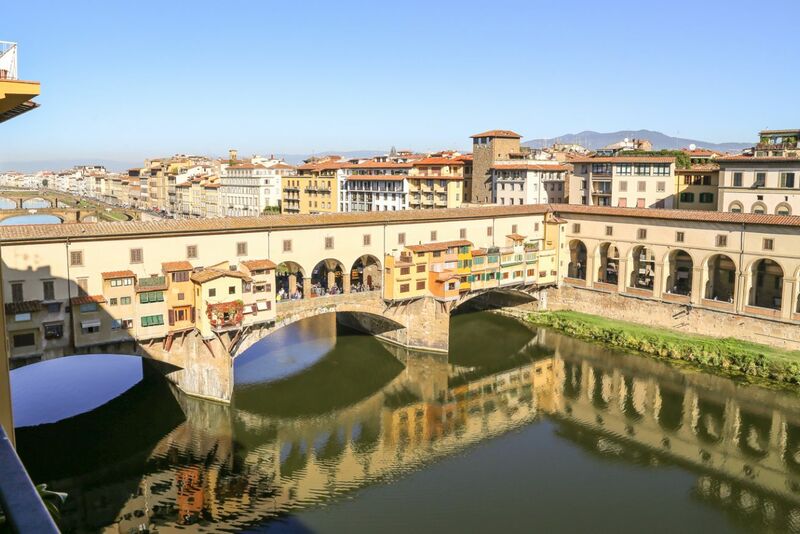 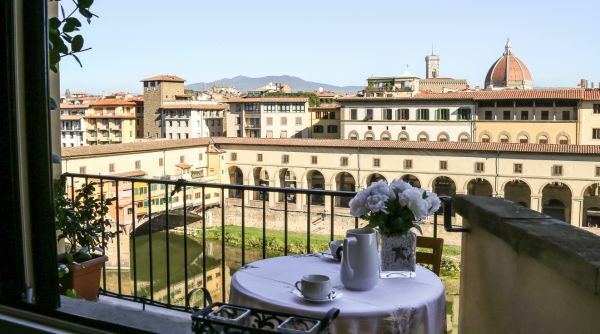 You can see the Duomo, the red dome of the Santa Maria Cathedral, the Tower of Palazzo Vecchio, the Ponte Vecchio, and miles of the Arno River — all while enjoying a cappuccino on your own balcony! 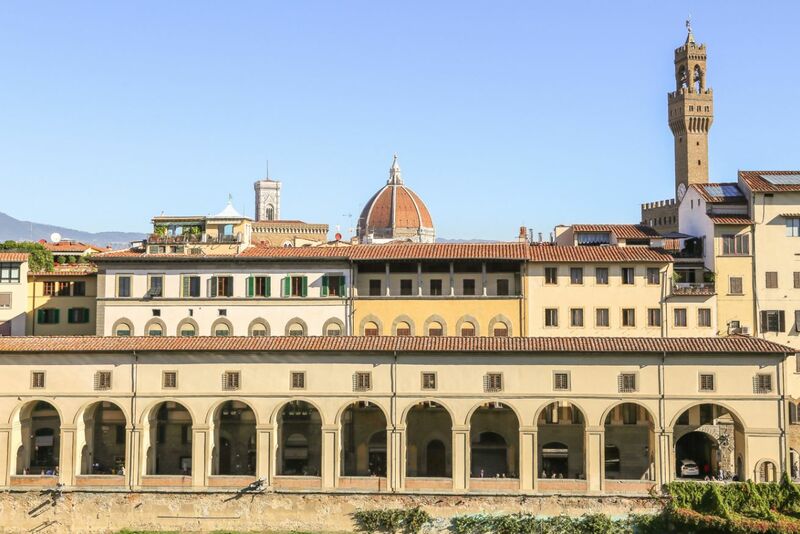 You haven’t truly seen Florence until you’ve seen it like this. 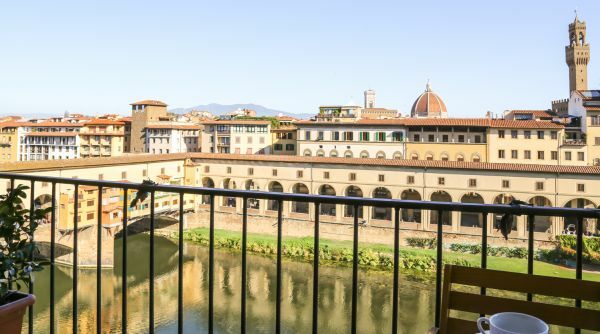 Although it will be hard to tear yourself away from this tremendous view, know that the time you spend inside the apartment will be a pleasure as well. 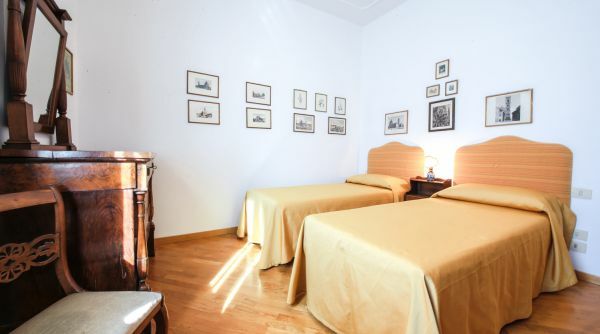 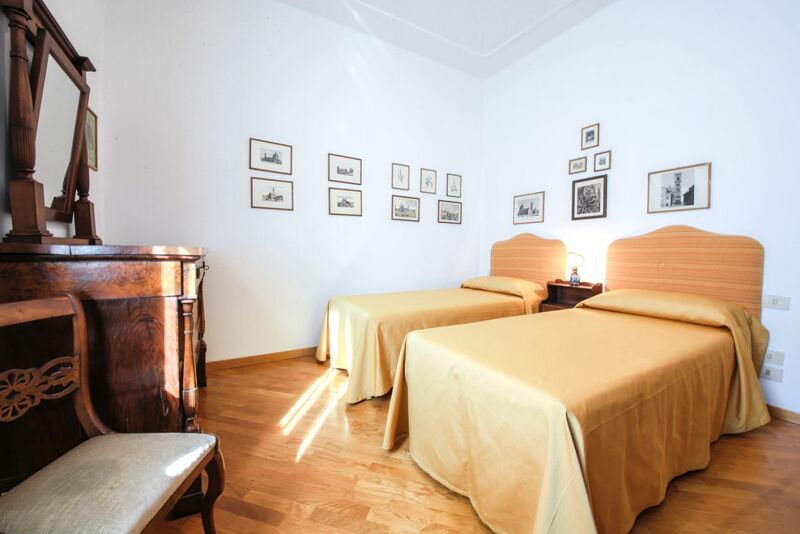 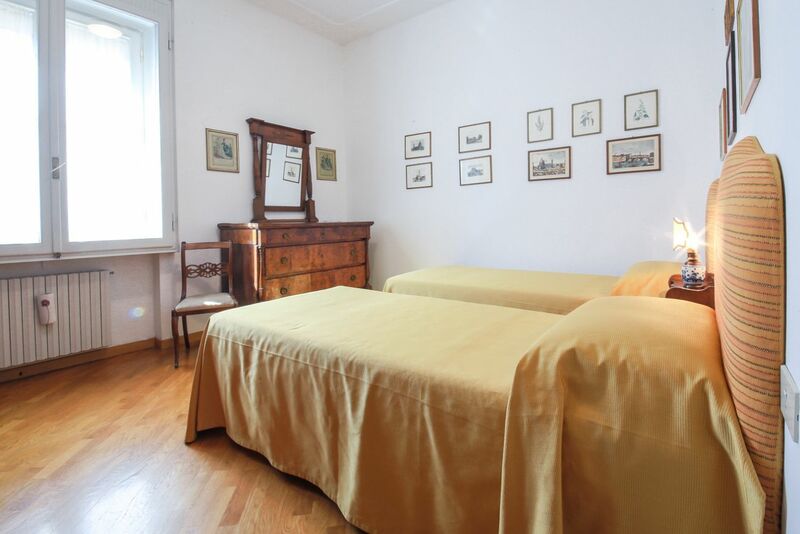 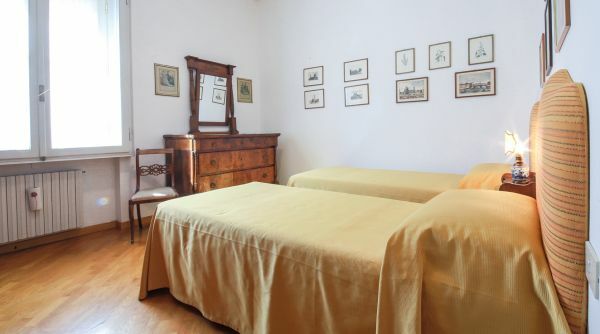 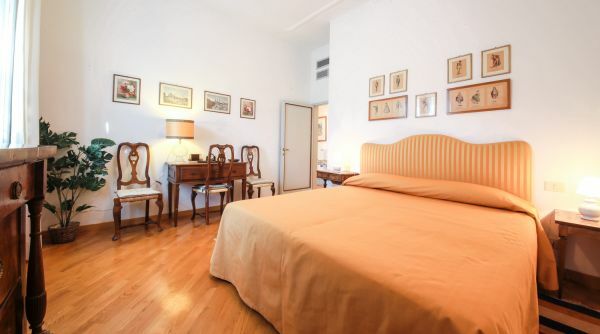 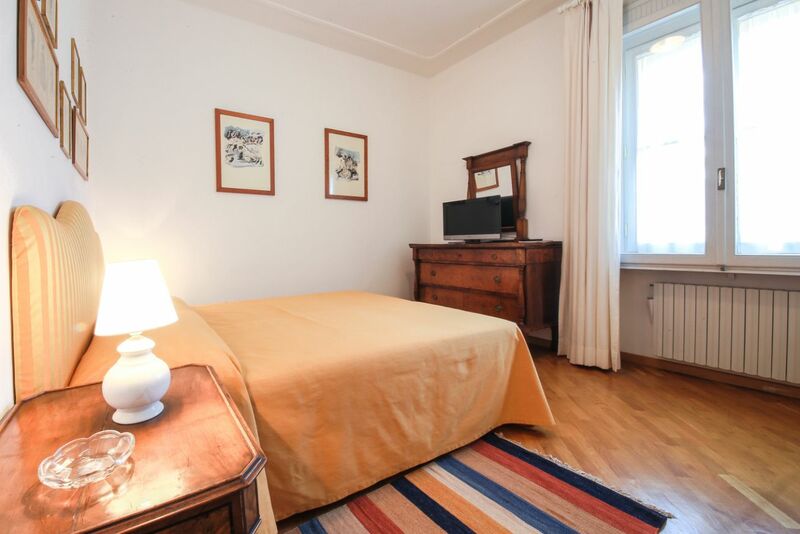 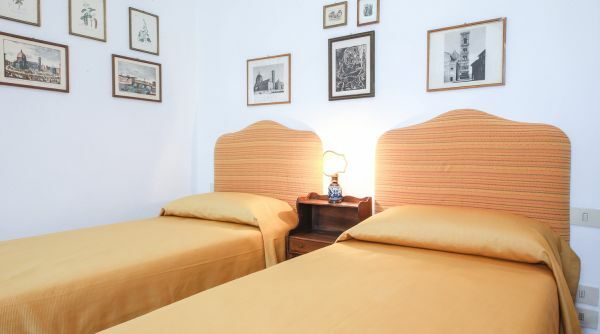 Its beautiful wooden furniture and classic Italian decor will make you feel like a real Florentine for the entirety of your stay. 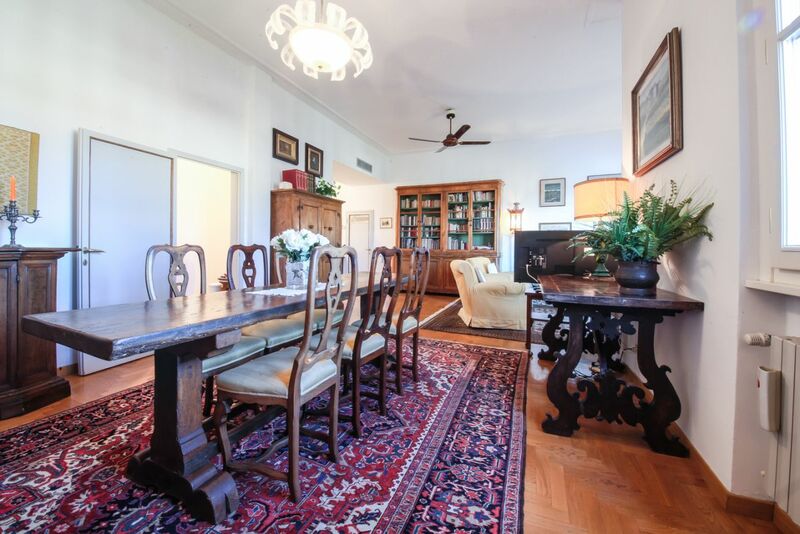 The living and dining rooms are spacious, with plenty of seating and a vintage, homey feel. 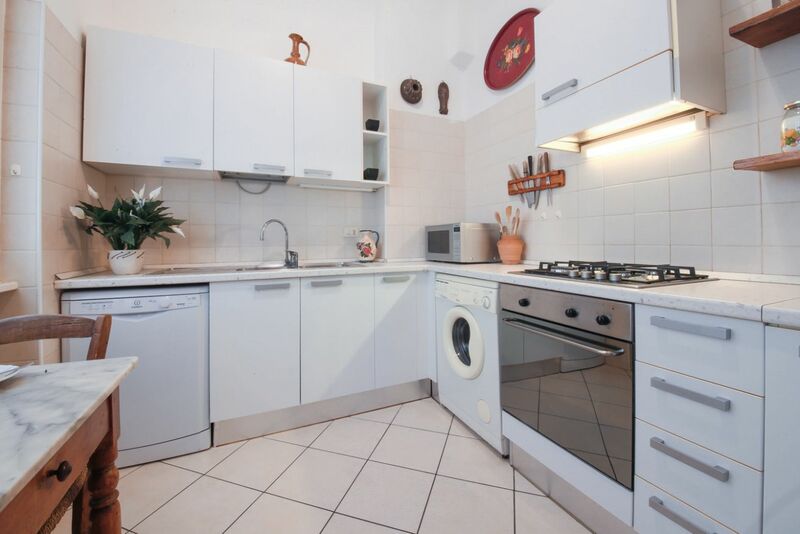 The kitchen is fully furnished and perfect for cooking a homemade meal on nights when you would rather stay in. 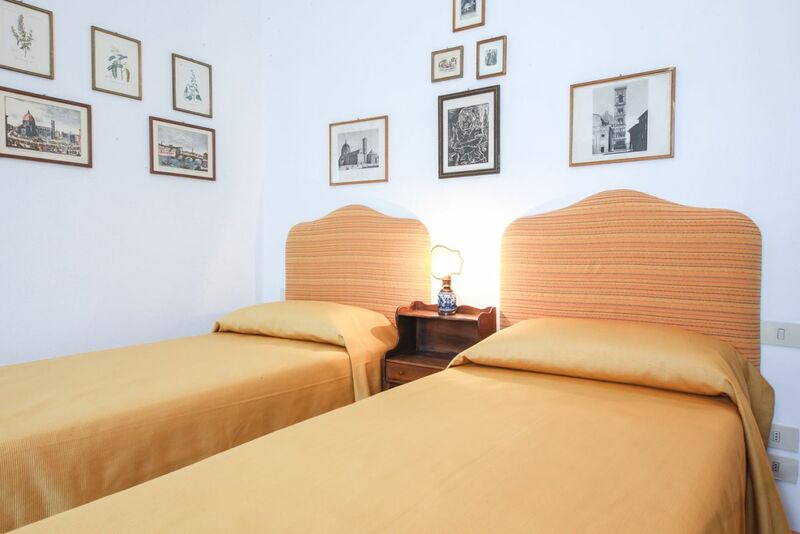 Both bedrooms are comfortable and decorated with warm colors, with extra amenities like a flatscreen TV and a large wooden wardrobe. 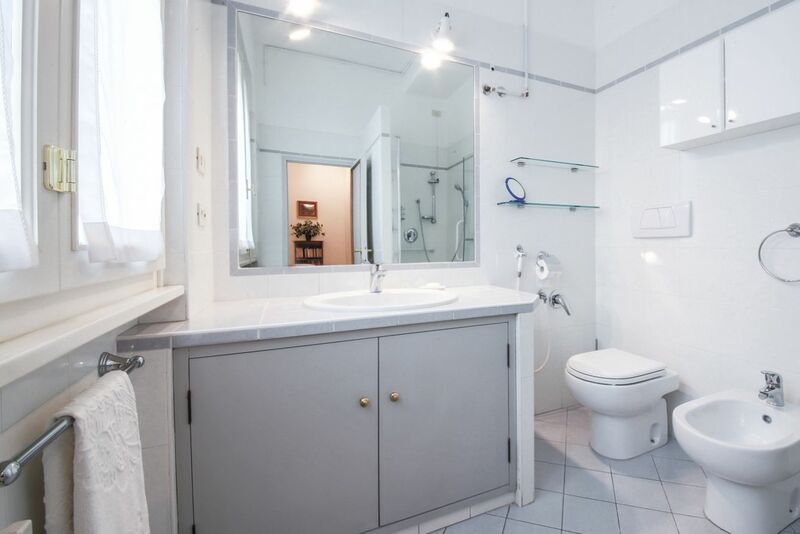 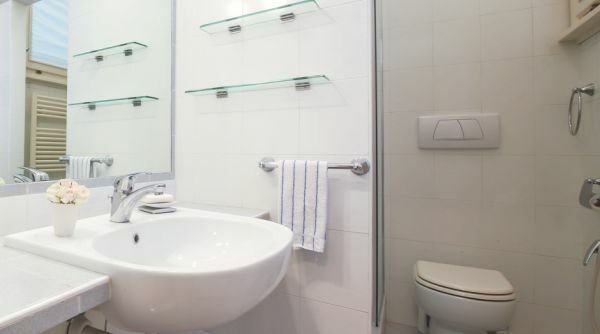 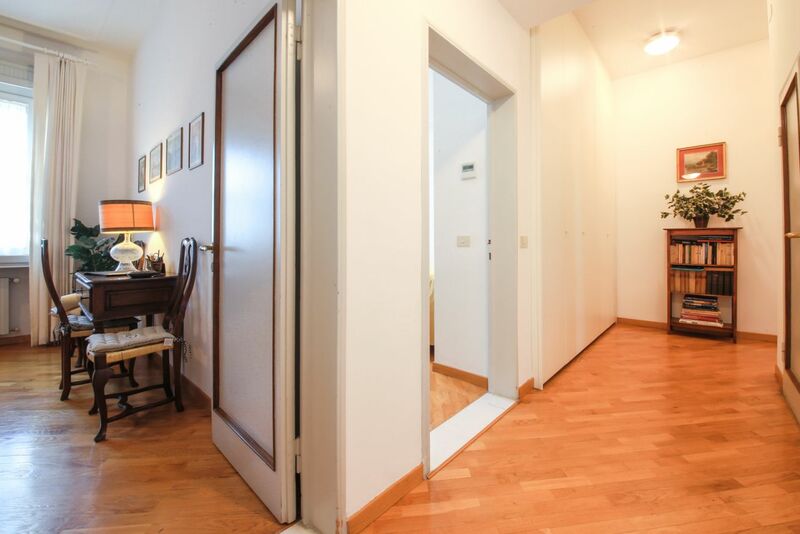 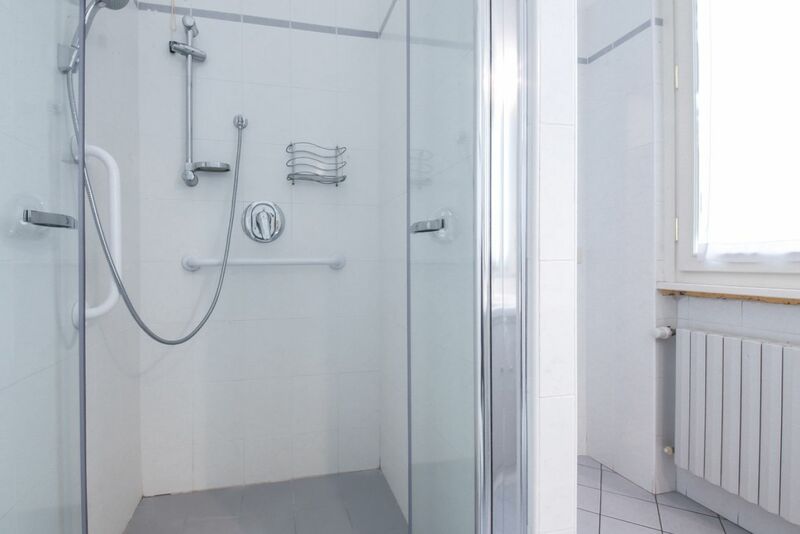 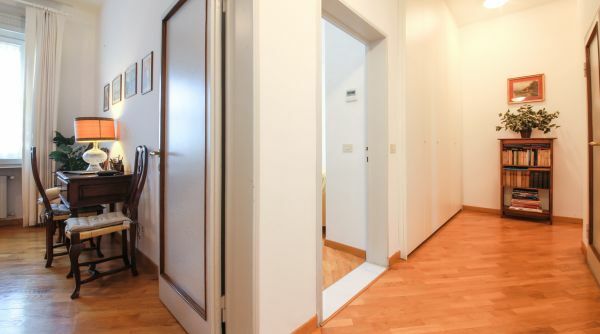 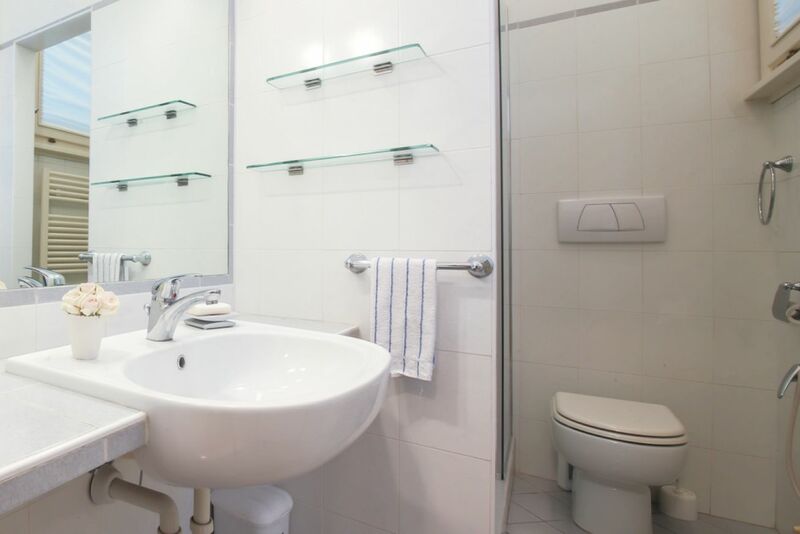 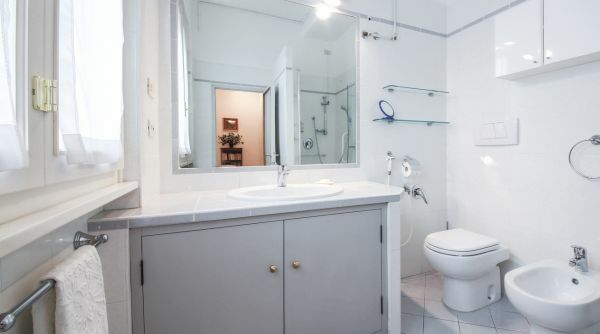 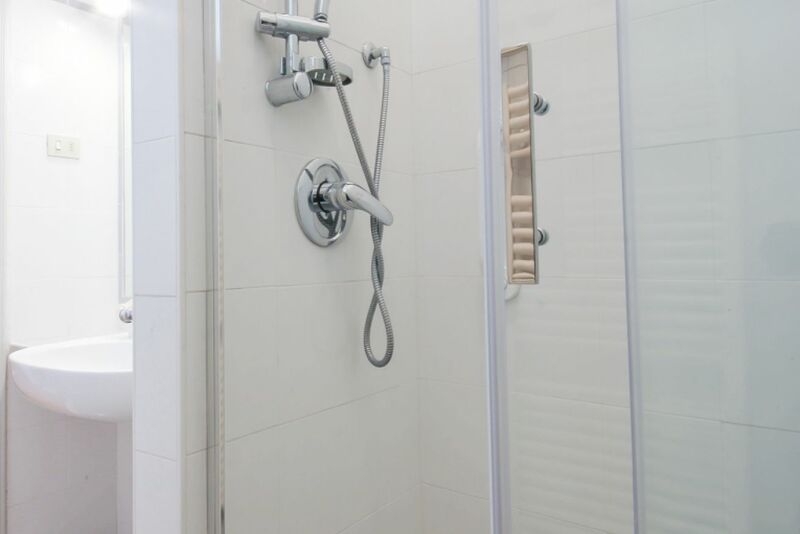 While this apartment benefits from feeling so authentically Italian, it also has luxuries that are not always found in the typical Italian home such as a washer and dryer, central air-conditioning, and good heating. 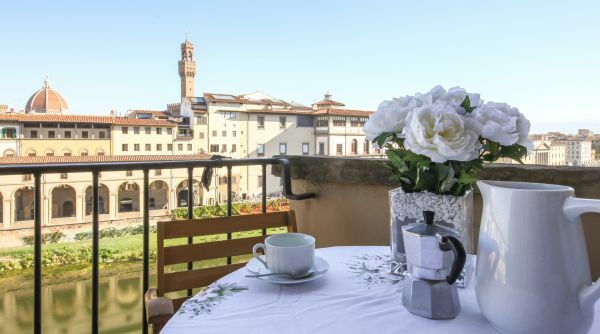 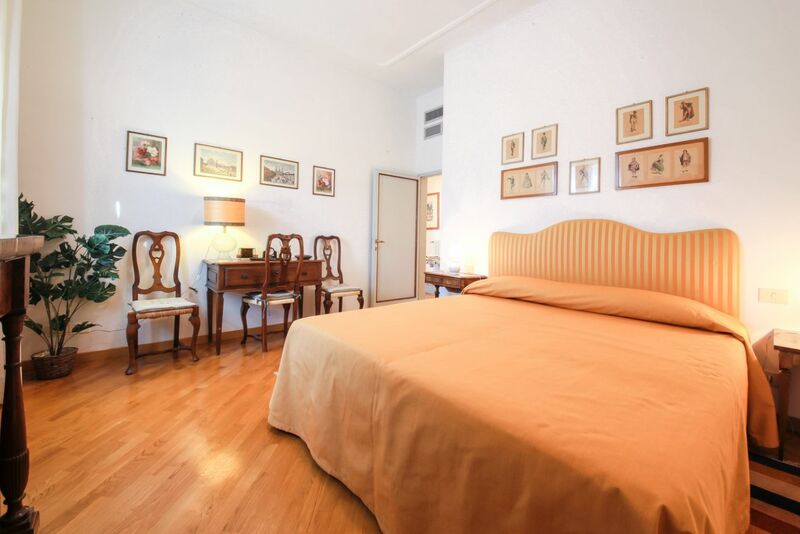 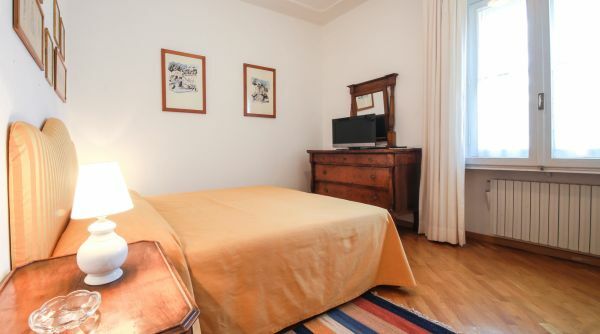 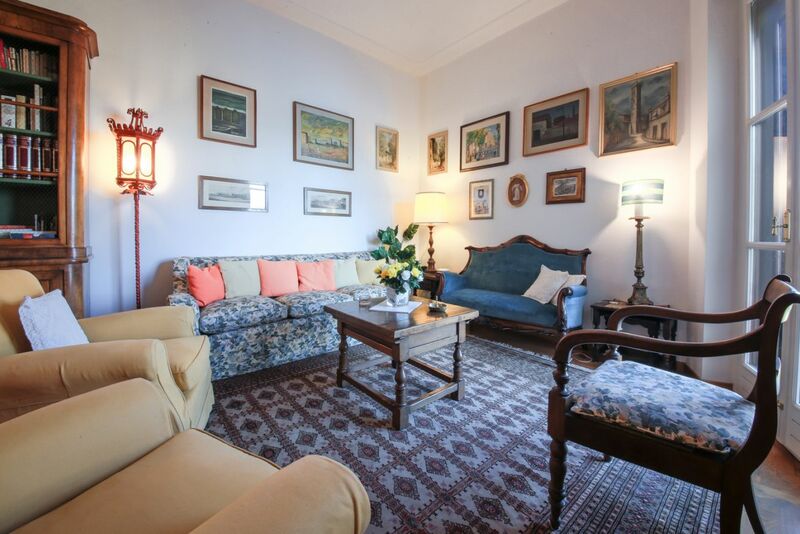 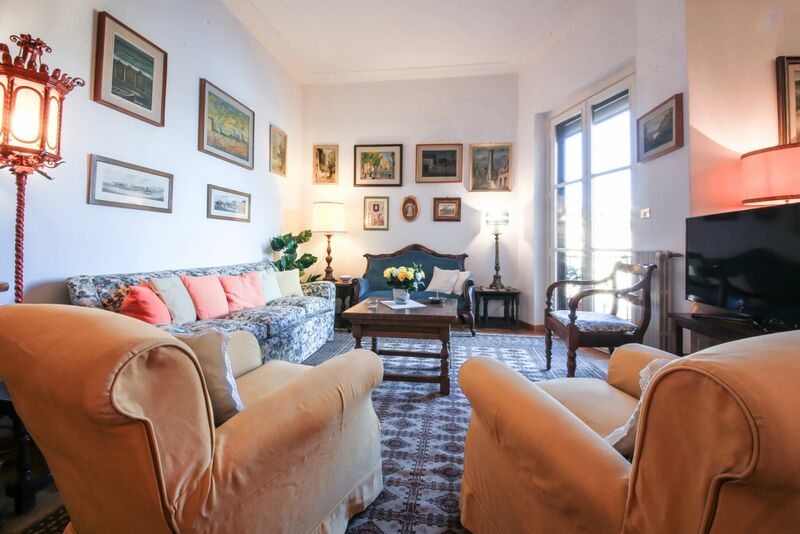 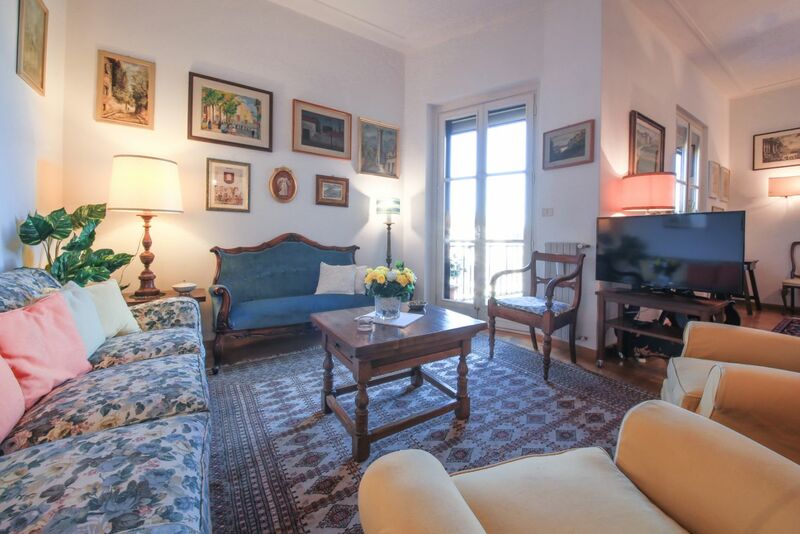 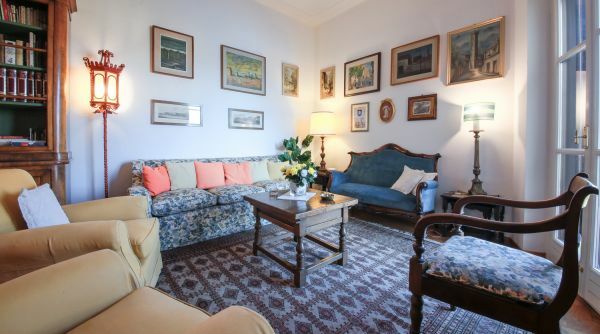 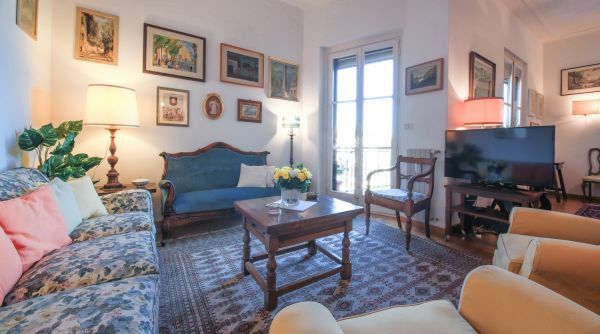 With its fantastic location, genuine Italian decor, and breathtaking view, this apartment is a perfect choice for any traveler who wants to experience the true beauty of Florence.